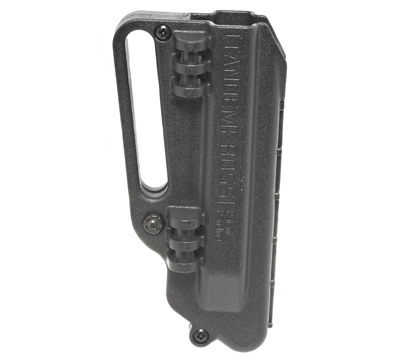 Quick Grip .22 Mag Pouches are designed for quick retrieval of 10-round magazines for rapid reloading. Provide easy access to magazines without having them secured by a strap or cover. Ideal for rimfire competition and other speed shooting matches, plinking and general range use. Molded from chemical, heat, and impact resistant Zytel®. Unique Interlocking design provides security and ability to combine multiple Quick Grips for additional carrying capacity. Mounts quickly and easily on any belt. Pouches can be tightened or loosened to fit preference by adjusting the tension screw located at the base of the magazine pouch (turning left loosens the tension, turning right tightens the tension). 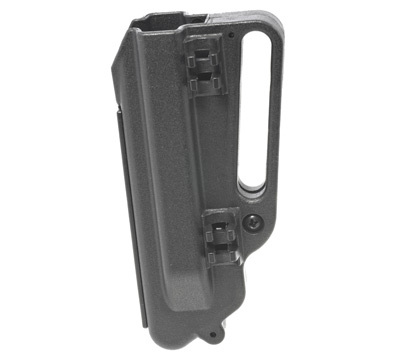 Fits Ruger® Mark II™, III™ & IV™ series magazines (including 22/45). DOES NOT FIT SR22® magazines. 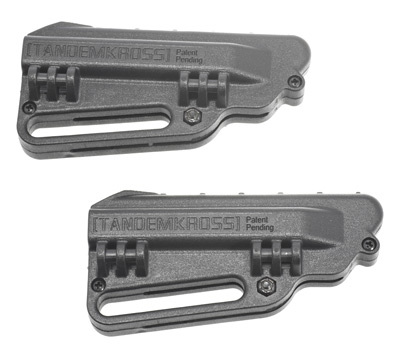 Made in the USA by TandemKross.